I’m not exactly an expert on this issue, but over the last few years I’ve gained some experience how to achieve an individual sound by replacing some parts of the instrument and by purchasing a matching amplifier. And I would like to share the essence of it. To me, the physically old equipment is strongly overrated – whereas there is real magic to some of the specifications of, say 50s or 60s instruments and amplifiers; concerning wood quality, pickups, electronics, capacitors, and so on. 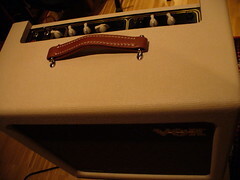 Nowadays we enjoy the benefits of being able to buy amplifiers or guitars as an reissue of the original legend, as well as the real old equipment, which is normally exclusively called “vintage”. There is not much sense in discussing the value of vintage equipment, though, without at first knowing your aim, your desired sound. So, the first question to be answered is whether or not your sound requires vintage equipment – or this search may be merely part of a temporal hype. For me, the answer has been clearly “yes”. (Since psychedelic sounds are old sounds, they may be considered as part of the vintage topic. I will write about this soon.) In addition, I could build upon a family tradition, if you will, as my father was passionate about tube amps. Except he didn’t use them as guitar amps, but for HiFi. Some of the parts he left I could use very well, however. Another primary experience has been exchanging the guitar’s capacitors, which are virtually always small ceramic caps, giving a rather harsh sound with the tone control at maximum, and suddenly giving way to a rather dull and low signal when the tone control is turned down. In most cases, they should be replaced by foil caps. 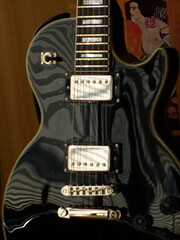 The overall tone of the respective guitar was significantly altered by different capacitors, even of the same electrical value, but of different brands and sizes; and even when the tone control was turned to maximum. So modifications of the guitar’s electronics turned out to be a major tool to achieve a warmer, more vintage-like guitar sound. For the first time I saw the use of the tone pot at all, as I could play around with a diversity of colors or sound shapes, all of them sounding good! Step by step I had thus turned my Epiphone Les Paul Custom into an instrument that bears comparison with an original Gibson (replacement of the pickups and many other parts included). I ended up with the conviction that there are many ways to achieve a so-called vintage guitar sound, and no real old equipment is required. At least for my personal needs. I can very well imagine somebody needing exactly what only a certain old guitar or amp can provide. But let’s abandon the hype! For a majority of players it would be sufficient to “tune” their instruments like described above. Tube amps are too big a subject to write about in a few sentences. But it’s a good idea to orientate yourself, which of the trilogy of Fender, Vox, or Marshall suits your desired sound best. Further investigation after this question of principle could concern a specific model, like a Champ, Princeton, or Deluxe by Fender, a Plexi, or JTM 45 by Marshall, or the AC 15 and AC 30 by Vox. To get some idea how they sound like, playing around with realistic modeling technology is optimum preparation – but in the long run I found real amplifiers much more dynamic. Beware of their power, though! 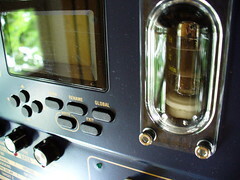 To achieve a distorted sound they have to be turned up to incredibly high volumes (at least for your living room), and many originals as well as reissues don’t have master volume. If you are playing at home, a maximum of about 20 Watts is more than sufficient (maybe even five Watts are enough). So, the next tool to investigate was the treble booster, used by many guitarists of the 60s and early 70s to boost the signal. The name is misleading, as it’s primary function is to make distortion easier, not to add shrillness. I found it melts into the amps own sound perfectly. 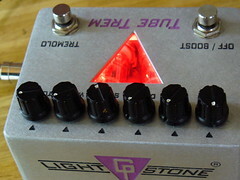 Depending on the degree of distortion needed, also a Tube Screamer or other overdrive unit can be used. My most versatile booster is called “Fuzz Booster”, and provides clean boosted sounds as well as a completely unobtrusive fuzz, making it easy to blend one into the other. This a long story cut short, but that’s what has made me really happy: a combination of somehow tuned (new) guitars with (new) tube amps, tremolo and tube reverb, at times with a treble booster right before the amp’s input – and that’s it! – For the second installment click here! Great article that cuts through the hype! I definitely love the vintage sound and thought originally I needed vintage equipment to achieve it. I have a co-worker that has a large collection of vintage amps, which involves frequent trips to an amp tech for repairs. We’re hoping to do some side by side comparisons of new vintage and old vintage to see if we discern differences. I learned that lower gain pickups are critical to achieving the tone and looks like you have that covered with your Les Paul Custom. You lose a lot of the subtle tones at varying levels of the guitar volume setting with the hot pickups. I once had the opportunity to try a humbucking pickup that had been hand-wound by Larry Dimarzio for Allan Holdsworth. I had great expectations, but I was disappointed to hear a mushy, muffled tone. The pickup was powerful, and provided higher levels of overdrive, yet sounded so dull. I replaced it with the original far eastern made unit, and immediately the crunch and clarity returned. I remember an interview in which Eddie Van Halen recommended lower output humbuckers to achieve his ‘brown’ sound. However, there are many rumours that he created his classic early sound with a heavily modified 50W Marshall ! 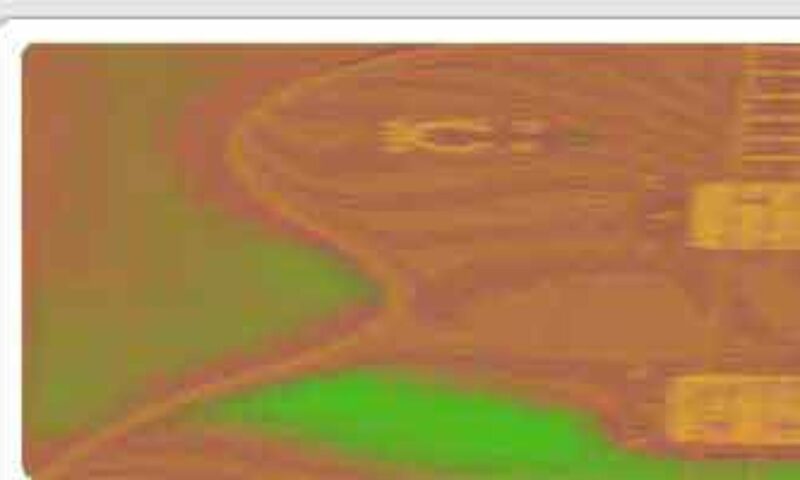 Always bear in mind that a high output pickup will have more windings, and hence higher DC resistance which attenuates higher frequencies.